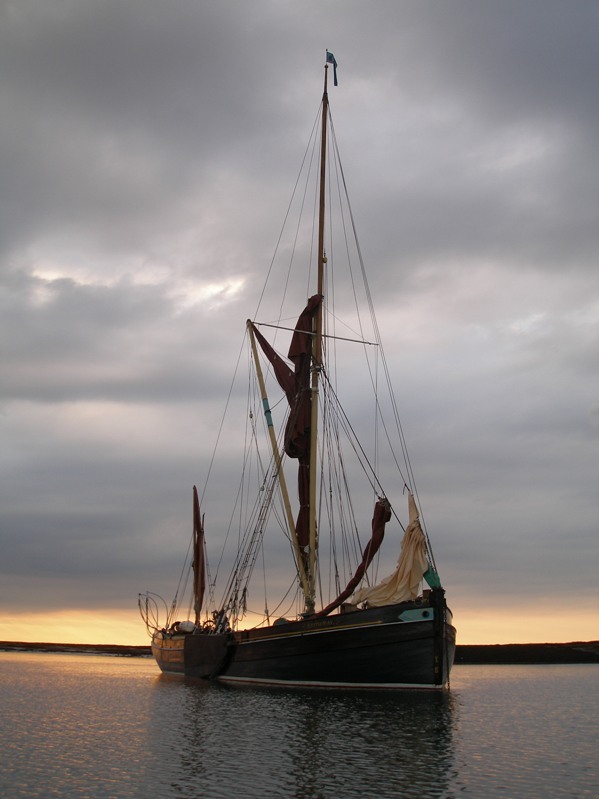 Thames sailing barge Edith May has been named National Historic Ships national flagship for 2012. In the year of the Queen’s Diamond Jubilee Pageant, it seems particularly appropriate that the winner for 2012 is a vessel specifically designed to trade on the Thames. Edith May is an 86ft barge built by J&H Cann of Harwich in 1906 for the coastal trade carrying wheat and grain products. She also had a successful racing career before falling into sad disrepair in the 1990s before being purchased and then restored by her current owners. The flagship of the year title is awarded to the owners of the vessel with the most impressive seasonal programme of public events in the forthcoming year, and is designed to promote engagement and appreciation of historic vessels in the UK’s heritage. Each year’s flagship vessel receives a traditional swallow-tailed broad pennant to fly from the masthead wherever she goes to mark her flagship status, and a grant of £1000 towards the cost of keeping her in operational condition and opening for public viewing. The judges decided that the submission from the Edith May was outstanding. Her extensive public programme over the coming season includes festivals, barge matches, public cruises and taking part in the Queen’s pageant. Edith May is registered on the National Register of Historic Vessels held by National Historic Ships. She can be seen at her berth in Lower Halstow in Kent during the winter, and is also available for sailing charter trips on the Medway and as a static venue for events. PS – on the subject of the National Historic Ships, there’s still lots of time to enter the annual photographic competition. Details are here and here. The award could not have gone to a more worthy vessel. I have written before about the tenacity and love that the Gransden family have put into the Edith May: they have been immortalised within a chapter in my book, Salt Marsh & Mud A Year’s sailing on the Thames Estuary.